VERY RARE AND IN HIGH DEMAND 1967 ORIGINAL BRITISH STEREO PRESSING IN TOP CONDITION! THE CONDITION OF THE COVER IS M-! THE CONDITION OF THE DISC IS ALSO M- AND IT PLAYS BRILLIANTLY! 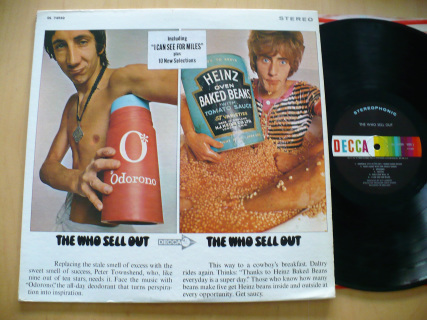 THIS EXAMPLE ALSO INCLUDES THE ORIGINAL EMI RECORDS INNER SLEEVE! NO HYPE NECESSARY...THIS IS ESSENTIAL!! 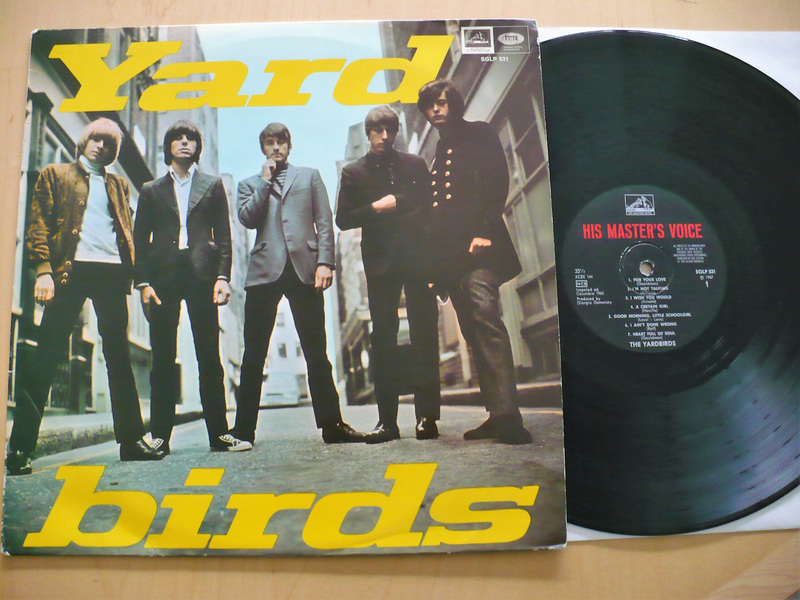 VERY RARE 1967 ORIGINAL U.S. MONO PRESSING ON THE ORANGE TOWER T-5093 LABEL. THE COVER IS A STRONG EX, NO SEAM SPLITS OR WRITING! THERE IS A "PROMOTIONAL RECORDS" STAMP ON THE BACK COVER. THE CONDITION OF THE DISC IS ALSO EX WITH ONLY A FEW LIGHT SLEEVE MARKS. THE VINYL STILL RETAINS A HIGH GLOSS AND IT PLAYS GREAT IN THE RARE MONO MIX! 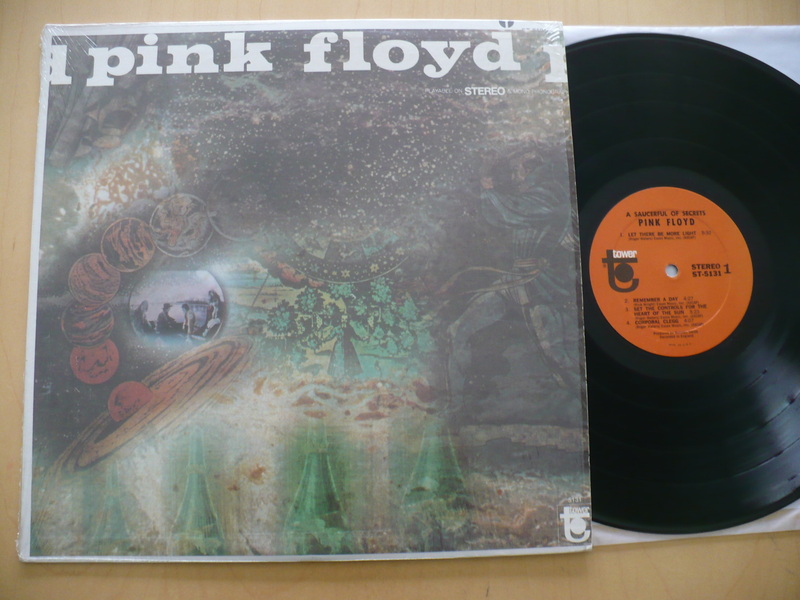 VERY RARE 1971 ORIGINAL ITALIAN PRESSING HOUSED IN A FANTASTIC, UNIQUE, ITALY-ONLY COVER! THE CONDITION OF THE COVER IS A VERY NICE EX BUT THERE IS A SMALL ADDRESS STICKER ON THE BACK COVER. THE CONDITION OF THE DISC IS VG+ WITH LIGHT SLEEVE SCUFFS PRESENT. 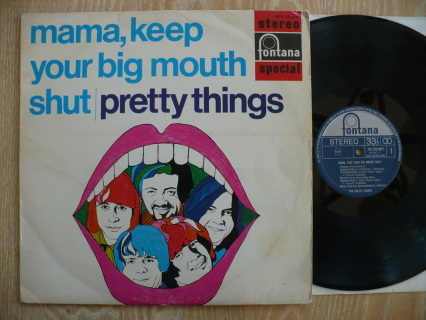 STILL HAS A NICE GLOSS AND PLAYS WELL! SERIOUSLY RARE!!! 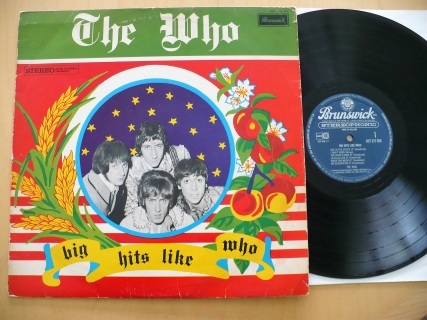 HERE IS A SUPER CLEAN 1968 ORIGINAL U.S. FIRST PRESSING IN TOP COLLECTOR CONDITION! THE COVER IS A GORGEOUS M- STILL IN THE ORIGINAL SHRINK WRAP AND THERE ARE NO CUT-OUTS, SEAM SPLITS OR WRITING! THE CONDITION OF THE DISC IS ALSO M-! TOP COPY!! 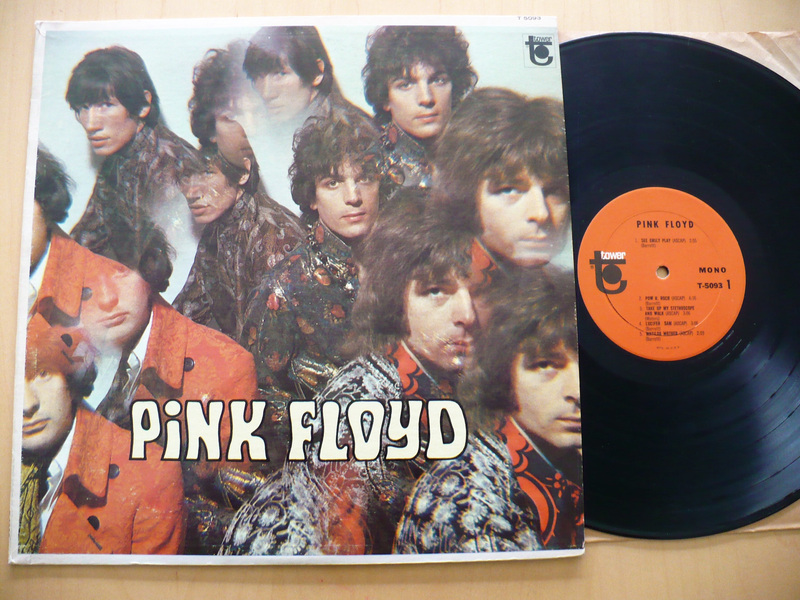 VERY RARE 1971 ORIGINAL SWITZERLAND SPECIAL EDITION LP HOUSED IN A UNIQUE SWISS-ONLY COVER! THE CONDITION OF THE COVER IS A NICE VG+! THIS SPECIAL EDITION HAS A DIFFERENT GROUP PHOTO ON THE BACK COVER! THE CONDITION OF THE DISC IS ALSO A NICE VG+! LABEL READS MADE IN GERMANY. VERY RARE!! RARE 1977 ORIGINAL FRANCE IMPORT ON THE EMI HARVEST LABEL PRESSED ON BEAUTIFUL PINK COLOR VINYL! 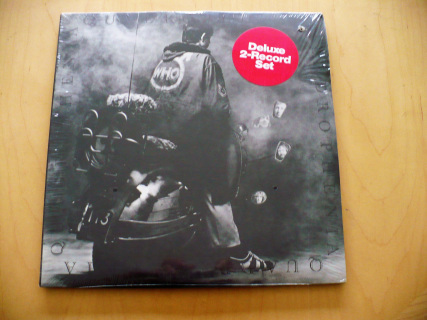 THE COVER IS M- STILL IN THE SHRINK WRAP WITH THE "DISQUE ROSE" STICKER ON THE SHRINK! 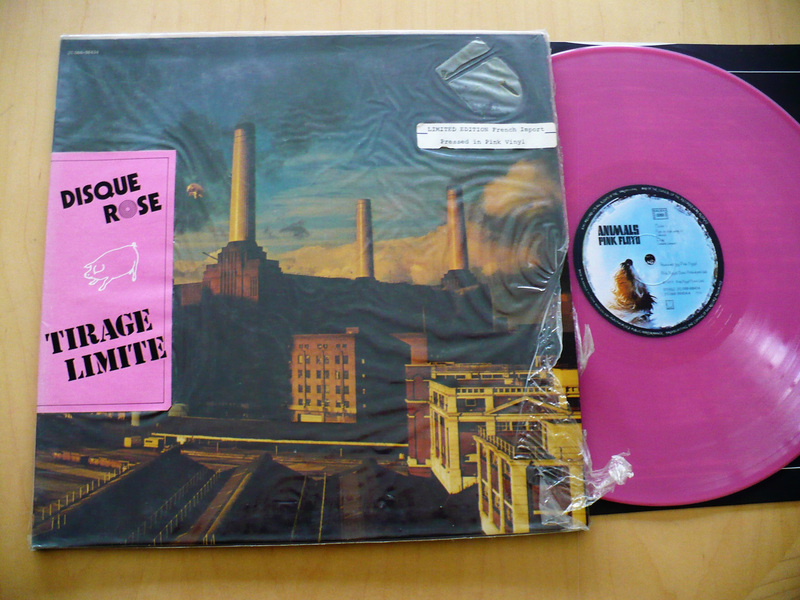 THE PINK COLOR VINYL DISC IS A BEAUTIFUL, LIKE NEW M-! ALSO INCLUDES THE ORIGINAL INNER SLEEVE! TOP COPY!! VERY RARE 1965 ORIGINAL UK MONO FIRST PRESSING IN TOP CONDITION! THE COVER IS M-! THE DISC IS EX+. 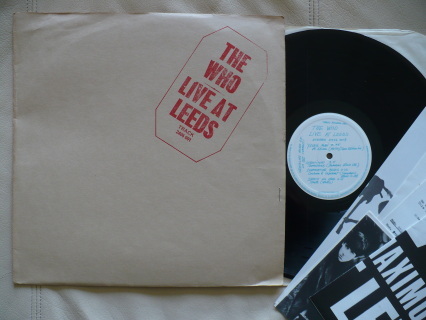 IT WOULD GRADE M- BUT DOES HAVE SOME MINOR RESIDUE FROM THE ORIGINAL PLASTIC INNER SLEEVE. 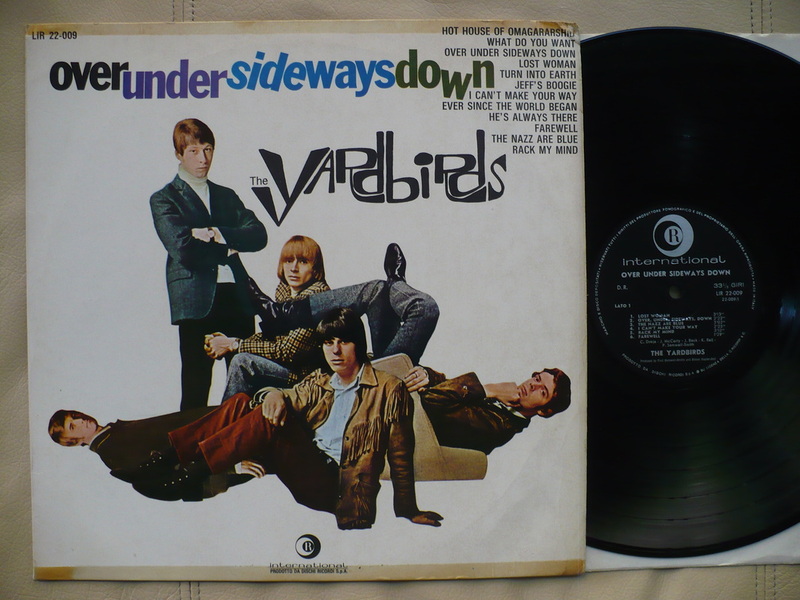 NO SPINDLE MARKS AND PLAYS GREAT IN THE ORIGINAL MONO MIX! 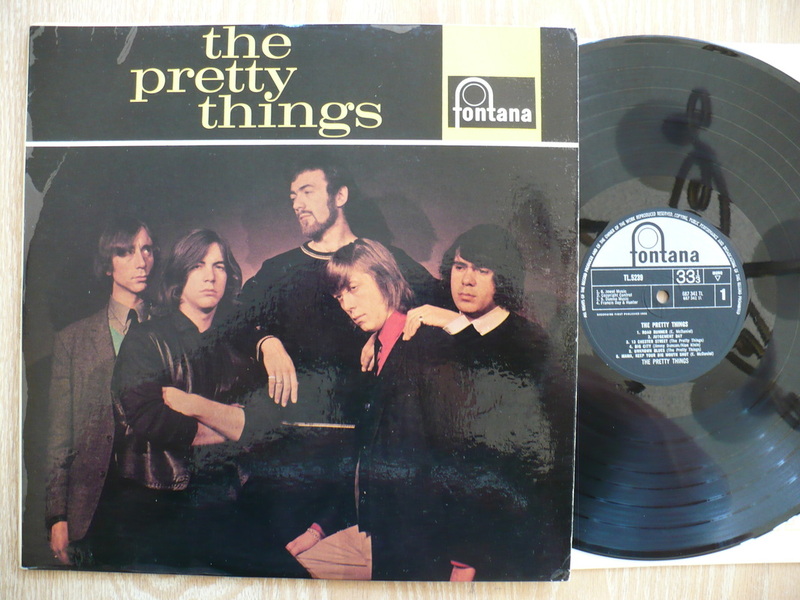 THE PRETTY THINGS- GET THE PICTURE? 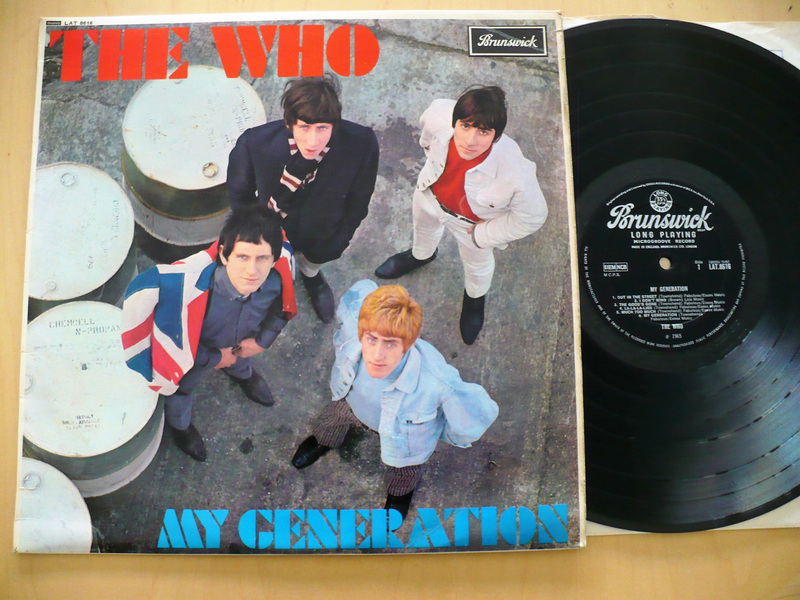 RARE 1965 ORIGINAL GERMANY PRESSING HOUSED IN A UNIQUE AND BEAUTIFUL COVER! THE COVER IS EX AND HAS A SMALL 1" SPINE SPLIT! 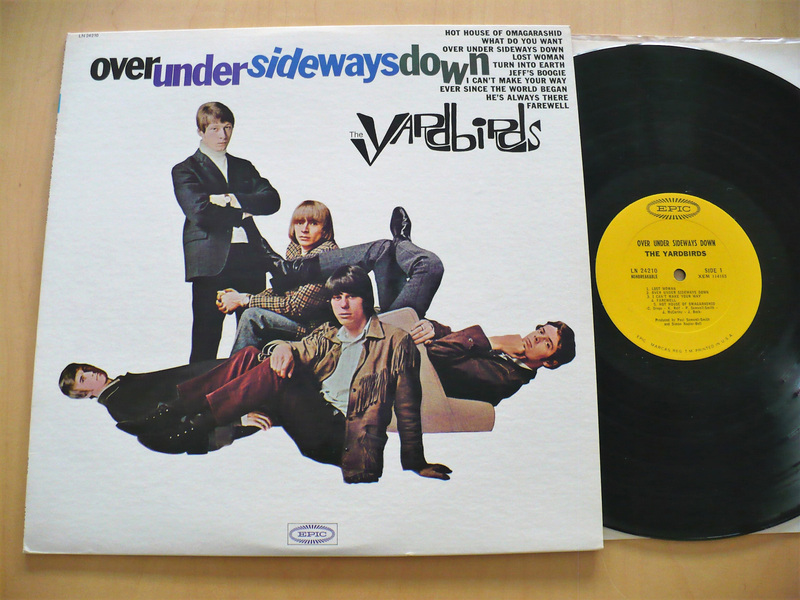 DISC IS A STRONG VG+ TO VG++ AND PLAYS GREAT IN THE ORIGINAL MONO MIX! VERY RARE FRANCE ORIGINAL HOUSED IN A UNIQUE FRANCE-ONLY COVER! COVER IS A NICE EX! DISC IS A NICE VG+ TO VG++ WITH ONLY LIGHT SLEEVE SCUFFS PRESENT. THE VINYL STILL HAS A HIGH GLOSS IT AND PLAYS GREAT! 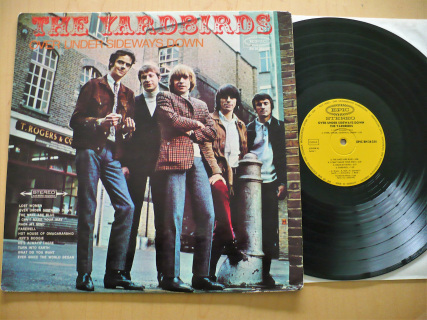 RARE 1966 ORIGINAL HOLLAND PRESSING! UNIQUE HOLLAND COVER IS VG++! THE DISC IS VG+ AND PLAYS GREAT! 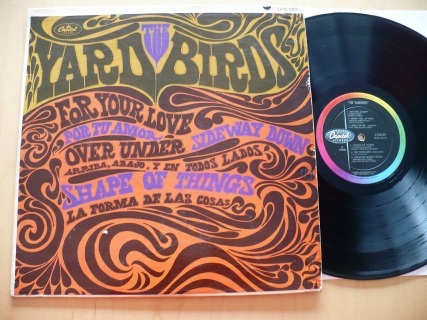 VERY RARE 1967 HOLLAND ORIGINAL HOUSED IN A BEAUTIFUL, UNIQUE PSYCHEDELIC COVER! THE CONDITION OF THE COVER IS M-! THE DISC IS VG++ WITH ONLY LIGHT SLEEVE SCUFFS AND IT PLAYS GREAT! 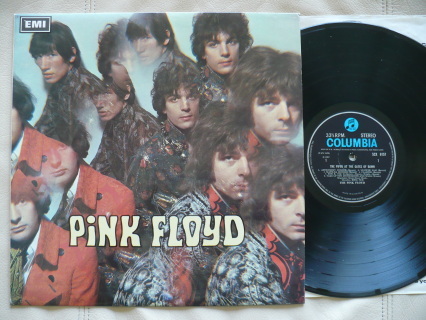 RARE 1969 U.S. 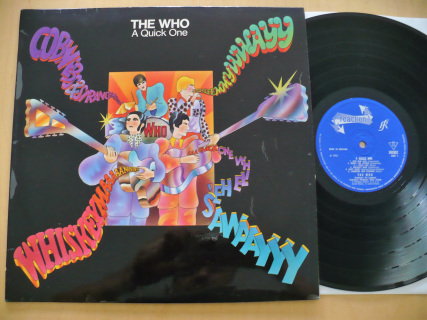 ORIGINAL FIRST PRESSING ON THE RARE EARTH LABEL HOUSED IN THE ORIGINAL ROUNDED COVER! THIS IS A BEAUTIFUL STILL SEALED ORIGINAL PRESSING WITH THE ONLY FLAW BEING A TINY CUT LOWER RIGHT CORNER, OTHERWISE IT PERFECT! TOP COPY!! 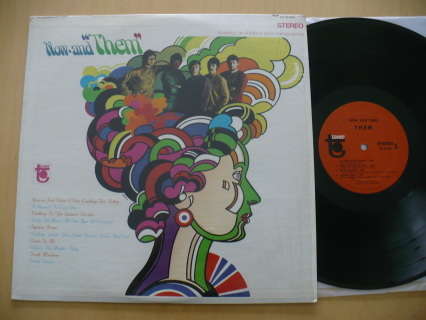 RARE 1969 ORIGINAL U.S. FIRST PRESSING IN THE ROUNDED TOP COVER! THE COVER IS M-! DISC IS ALSO M-! RARE 1967 ORIGINAL ENGLAND FIRST PRESSING ON THE DEEP GROOVE, UNBOXED DECCA, MONO LABEL. THE CONDITION OF THE COVER IS EX WITH MINOR RING WEAR ON THE BACK COVER. NO SEAM SPLITS OR WRITING! 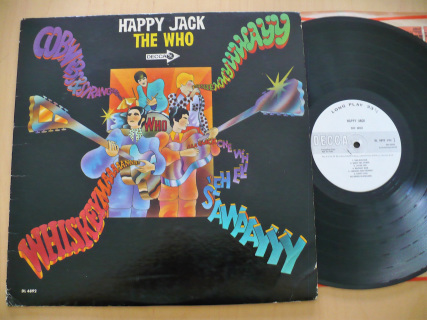 THE CONDITION OF THE DISC IS A CONSERVATIVE VG+ TO VG++ WITH ONLY A MINIMAL AMOUNT OF LIGHT SLEEVE SCUFFS. THE VINYL STILL HAS A NICE GLOSS AND IT PLAYS GREAT IN THE ORIGINAL MONO MIX! RARE 1967 ORIGINAL U.S. PRESSING OF THEIR GREAT 3RD ALBUM! 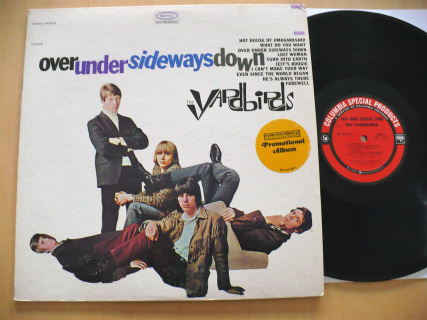 INCLUDES THE HIT "ITCHYCOO PARK" AS WELL AS OTHER GREAT UK MOD/PSYCH TRACKS. THE CONDITION OF THE COVER IS M- BUT DOES HAVE A SMALL DRILL HOLE IN THE UPPER LEFT CORNER, OTHERWISE IT'S NICE! THE CONDITION OF THE DISC ALSO A BEAUTIFUL M-! TOP COPY! 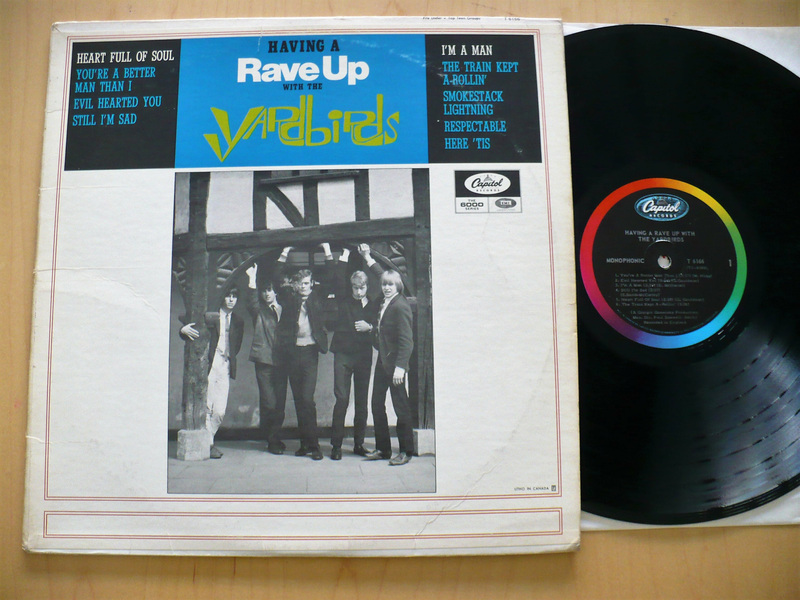 RARE 1968 ORIGINAL ENGLAND STEREO FIRST PRESSING ON THE PINK IMMEDIATE IMSP 102 LABEL. THE CONDITION OF THE GIMMIC, MULTI-FOLD COVER IS A BEAUTIFUL M-! 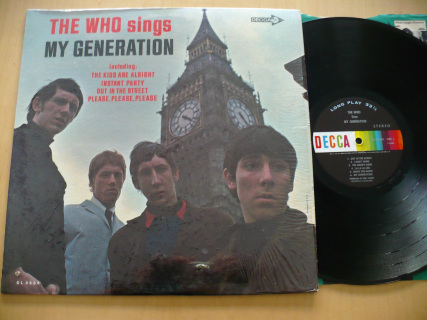 THE CONDITION OF THE DISC IS ALSO A GORGEOUS M- AND PLAYS BEAUTIFULLY! SIDE ONE MATRIX: IMSP 012 IY-2. SIDE TWO MATRIX: IMSP 012 - 2Y. TOP ARCHIVE COPY!! 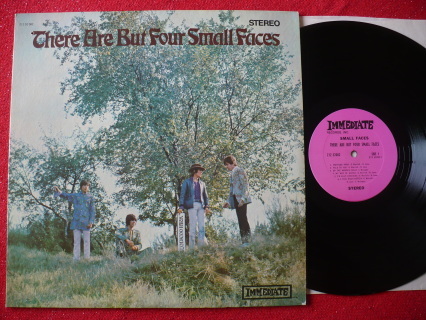 VERY RARE 1968 ORIGINAL MONO FIRST U.S. PRESSING ON THE DUNHILL D-50029 LABEL IN FINE KEEPER CONDITION! THE ORIGINAL FOIL COVER IS A NICE VG+ TO EX WITH MINOR WEAR AND A TINY DRILL HOLE. NO SEAM SPLITS OR WRITING! THE DISC IS A VERY NICE EX WITH ONLY A FEW ULTRA LIGHT SLEEVE SCUFFS. 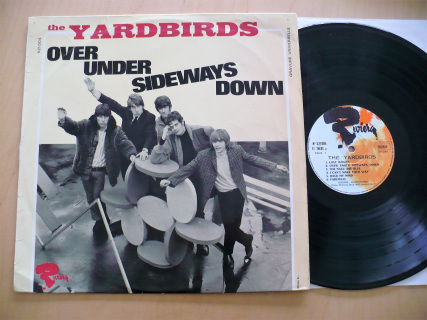 THE VINYL STILL EXHIBITS A BRILLIANT GLOSS AND IT PLAYS GREAT IN THE ORIGINAL MONO MIX!! 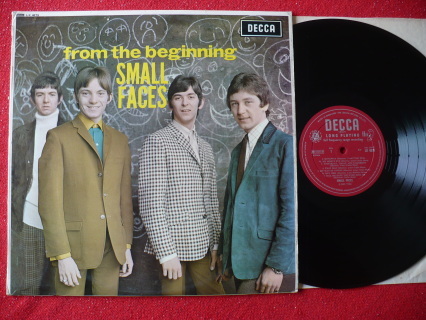 RARE EARLY SECOND MONO PRESSING ENGLAND DECCA LABEL IN TOP CONDITION! THE COVER IS EX WITH 2" OF CLEAR TAPE ON THE TOP RIGHT SEAM, OTHERWISE IT'S NICE! 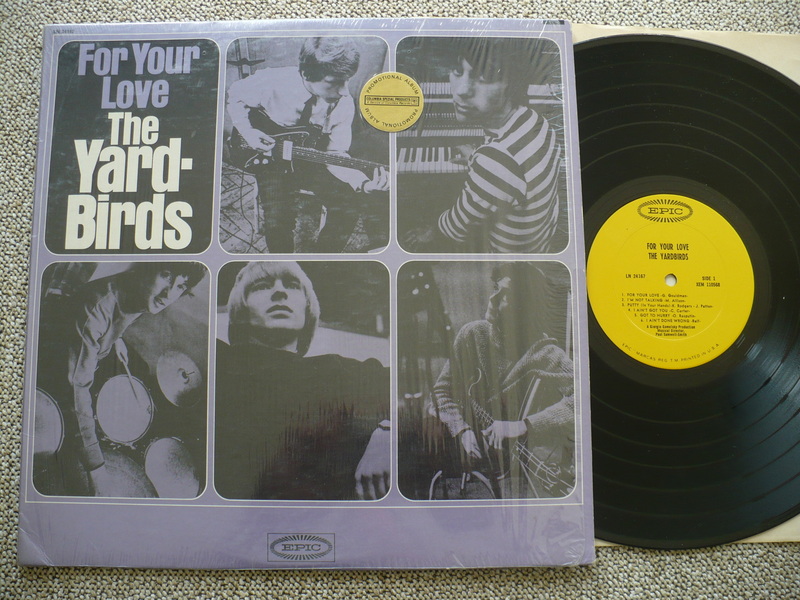 THE DISC IS A STRONG EX+, VERY CLOSE TO MY TOP M- GRADE, AND IT PLAYS GREAT IN THE ORIGINAL MONO MIX! 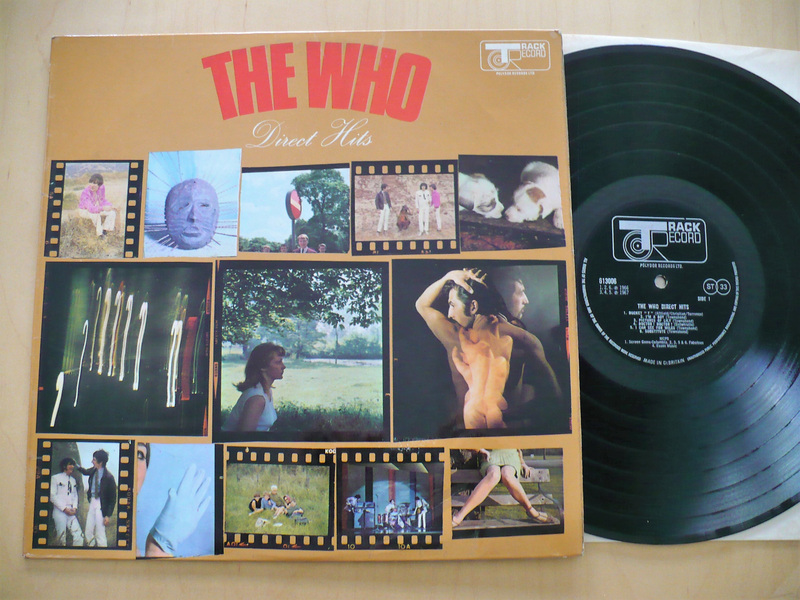 ALSO INCLUDES THE ORIGINAL POLY-LINED DECCA INNER SLEEVE! 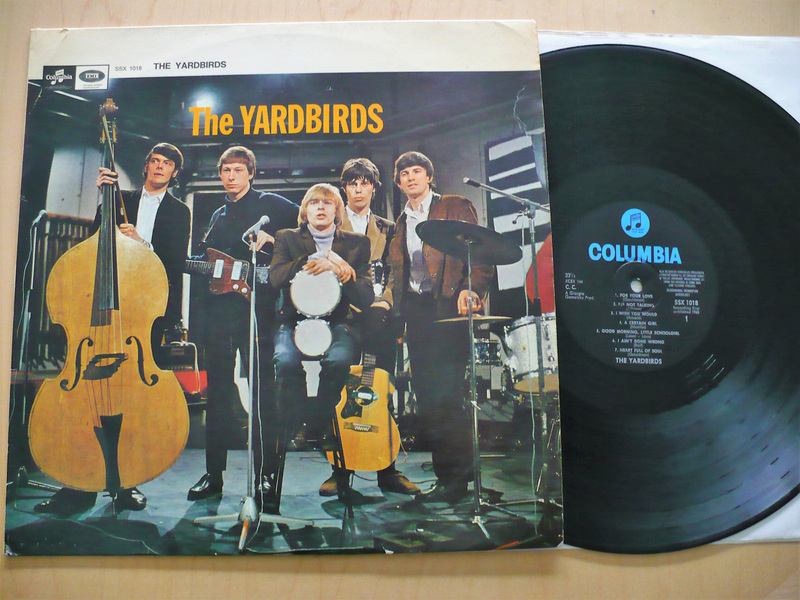 RARE 1967 ORIGINAL HOLLAND PRESSING ON THE INJECTION LABEL! THE COVER IS A NICE VG+ TO EX. 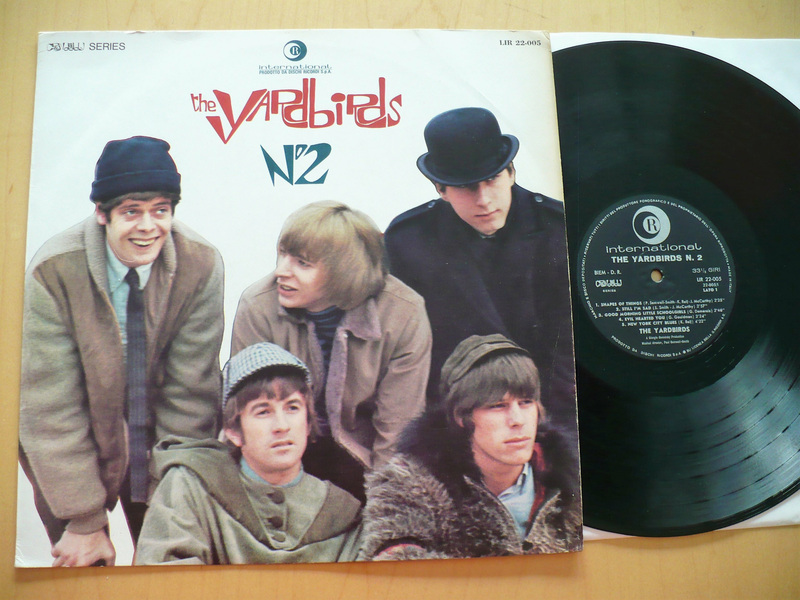 THE HEAVY, THICK SLAB DISC IS A NICE VG TO VG+ AND PLAYS WELL IN THE ORIGINAL MONO MIX! GREAT STUFF, PRODUCED BY KIM FOWLEY. RARE 1968 ORIGINAL U.S. STEREO FIRST PRESSING ON THE ORANGE TOWER LABEL IN TOP NICK! THE CONDITION OF THE COVER IS A BEAUTIFUL M- STILL IN THE ORIGINAL SHRINK WRAP AND THERE ARE NO CUT-OUTS, SEAM SPLITS OR WRITING! THE CONDITION OF THE DISC IS ALSO A GORGEOUS M-! ABSOLUTE TOP COPY!! RARE 1971 ORIGINAL PRESSING ON THE MYSTERIOUS TIGER LILY LABEL IN TOP MINTY CONDITION! THE COVER IS M-! THE DISC IS M-! TOP COPY!! 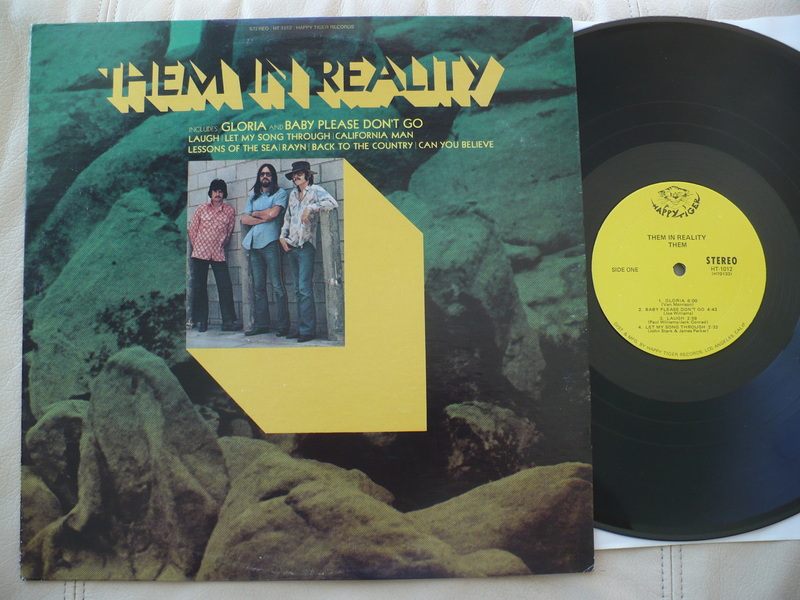 RARE 1970 ORIGINAL U.S. FIRST PRESSING ON THE TRACK RECORDS LABEL AND THIS COPY IS STILL SEALED! THERE IS A SMALL SAW MARK IN THE LOWER RIGHT CORNER OTHERWISE IT'S BEAUTIFUL...STILL SEALED!! 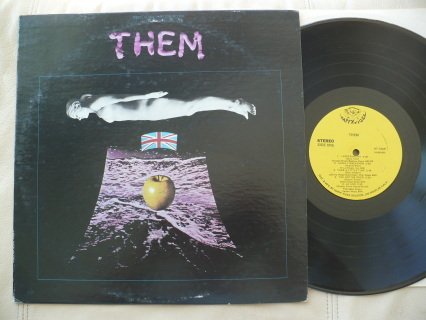 A BRILLIANT AND UNDERRATED ALBUM PRODUCED BY PETE TOWNSHEND OF 'THE WHO'! RARE 1959 ORIGINAL PRESSING OF HIS LEGENDARY DEBUT ALBUM ON THE DE-FI RECORDS LABEL IN TOP NICK! THE CONDITION OF THE COVER IS A GORGEOUS M- STILL IN THE ORIGINAL SHRINK WRAP, NO CUT-OUTS, SEAM SPLITS OR WRITING, WITH THE ORIGINAL 88c PRICE STICKER ON THE SHRINK (AH...THOSE WERE THE DAYS)! 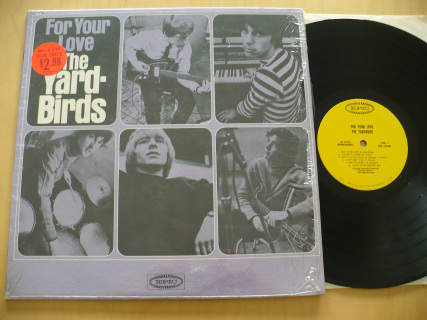 THE DISC IS ALSO A BEAUTIFUL EX+, VERY CLOSE TO MY TOP M- GRADE, AND IT PLAYS BEAUTIFULLY IN THE ORIGINAL MONO MIX! TOP COPY! 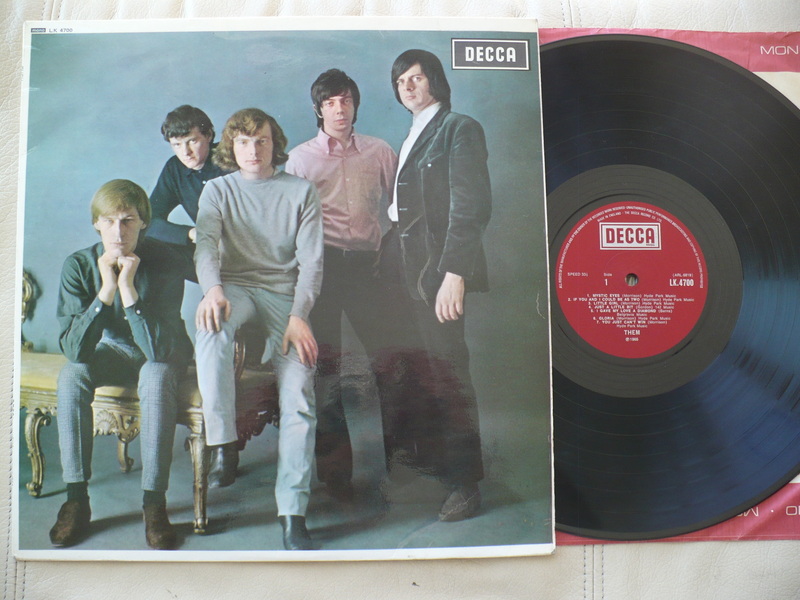 RARE 1965 ORIGINAL ENGLAND PRESSING OF THEIR FANTASTIC DEBUT ALBUM ON THE BRUNSWICK LABEL. THE COVER IS EX WITH MINOR CREASES, NO SPLITS OR WRITING. 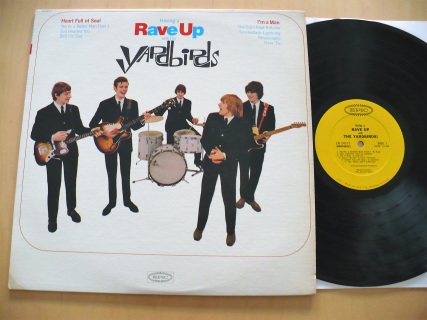 THE DISC IS VG+ AND IT PLAYS BALLZY IN THE ORIGINAL MONO MIX! RARE 1965 ORIGINAL U.S. MONO COPY ON THE DECCA LABEL IN TOP NICK! 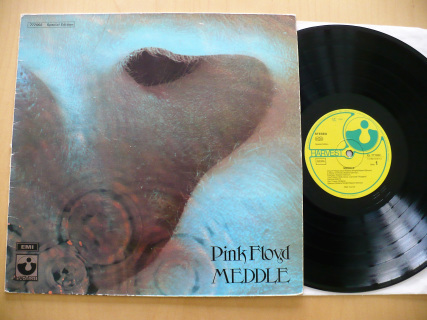 THE CONDITION OF THE COVER IS M- STILL IN THE ORIGINAL SHRINK WRAP! THERE IS A TINY DRILL HOLE IN THE LOWER LEFT CORNER, OTHERWISE THE COVER IS GORGEOUS! THE CONDITION OF THE DISC IS ALSO A BEAUTIFUL, LIKE NEW M- AND IT PLAYS BRILLIANTLY IN THE SUPERIOR MONO MIX! TOP COPY!! 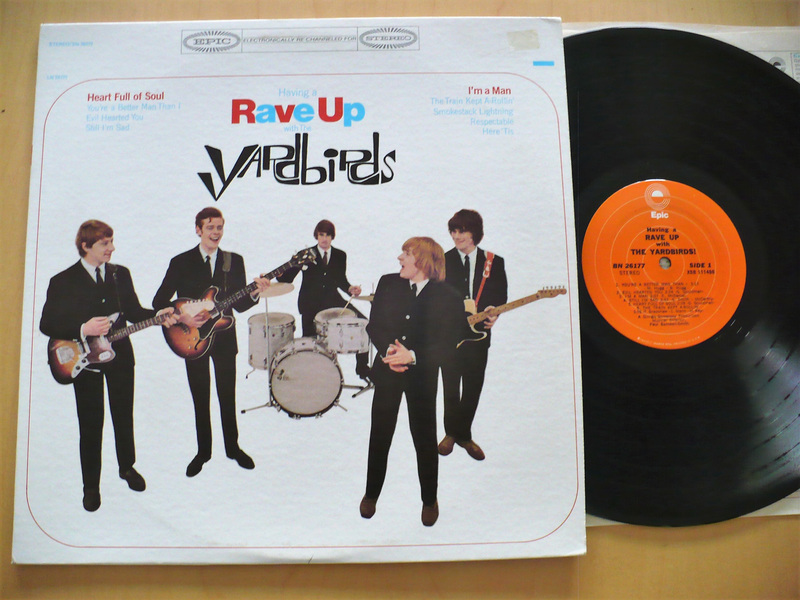 RARE 1966 ORIGINAL ENGLAND PRESSING ON THE REACTION LABEL IN TOP CONDITION! THE COVER IS A STRONG EX+ TO M-, NO SPLITS OR WRITING! THE DISC IS A BEAUTIFUL M- AND IT PLAYS GREAT IN THE ORIGINAL MONO MIX! TOP COPY! 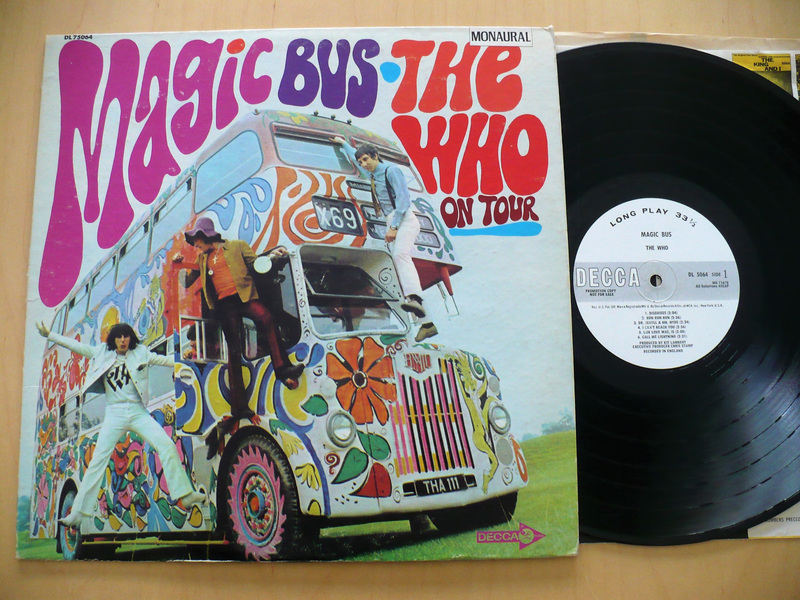 VERY RARE 1967 WHITE LABEL PROMO COPY! 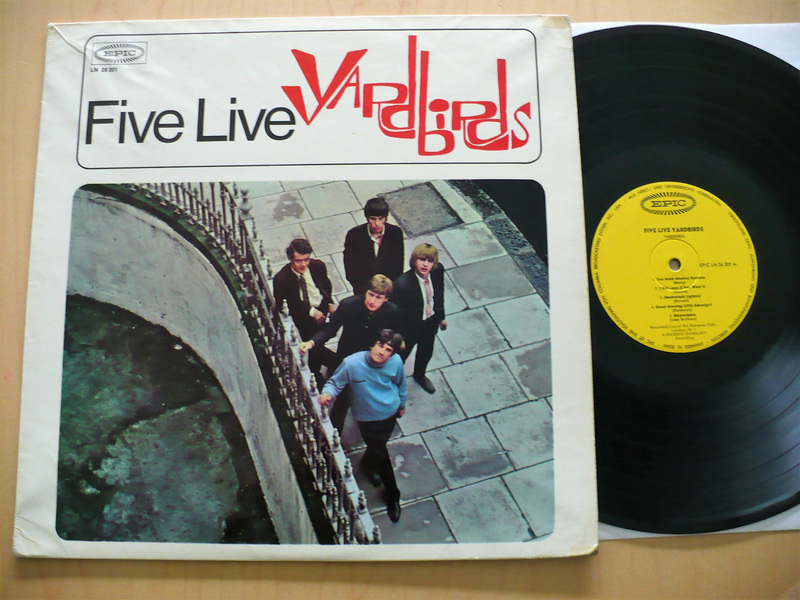 THE COVER IS VG+ WITH A SMALL "DEMO NOT FOR SALE" STAMP ON THE BACK COVER. THE DISC DOES HAVE SOME SCUFFS AND SCRATCHES BUT PLAYS THROUGH OK IN THE ORIGINAL MONO MIX, NO SKIPS. NOT MINT BUT QUITEHARD TO FIND AS A WHITE LABEL PROMO! HERE'S A SUPER CLEAN COPY OF THEIR 1967 SECOND U.S. ALBUM IN GLORIOUS MONO! THE COVER IS A VERY CLEAN EX+ BUT DOES HAVE A TINY "ZR" STAMP ON THE BACK COVER AND 1" FRAYING AT THE BOTTOM OF THE SPINE. OTHER THAN THOSE MINOR FLAWS THE COVER IS BEAUTIFUL! 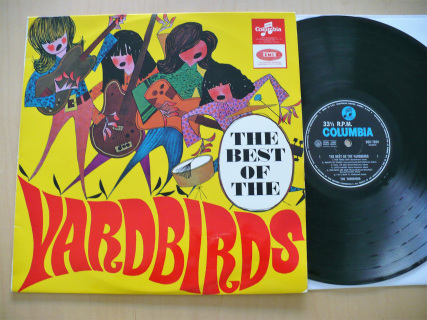 THE CONDITION OF THE DISC IS A BEAUTIFUL, LIKE NEW M- AND IT PLAYS GREAT IN THE SUPERIOR MONO MIX! TOP COPY! 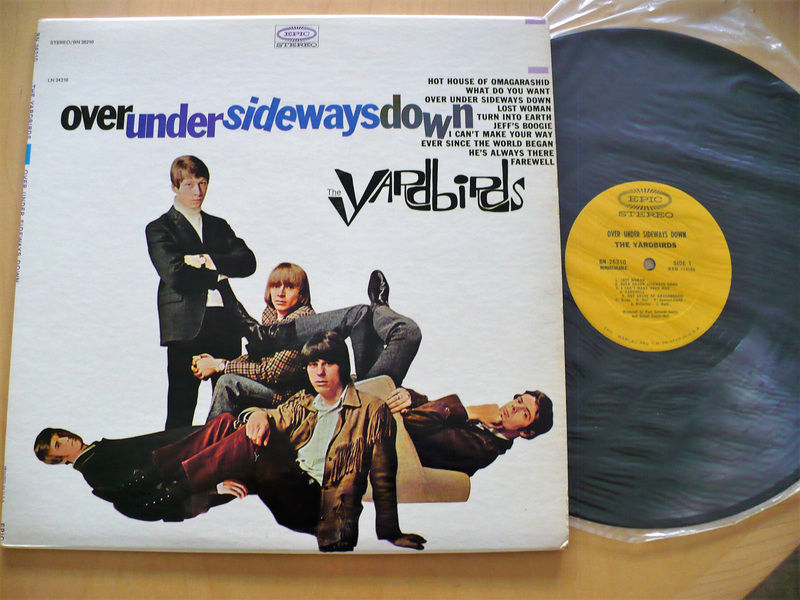 RARE 1967 ORIGINAL U.S. STEREO COPY IN TOP CONDITION! THE CONDITION OF THE COVER IS M- WITH THE RARE "I CAN SEE FOR MILES" HYPE STICKER! THE DISC IS ALSO A LIKE NEW M-! TOP COPY! VERY RARE 1968 U.S. 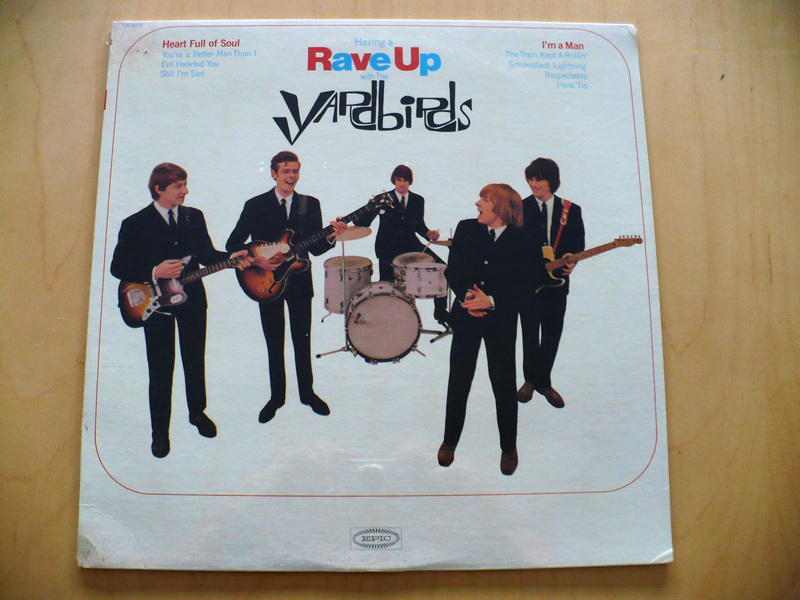 ORIGINAL MONO PRESSING THAT WAS ONLY AVAILABLE AS A WHITE LABEL PROMO! 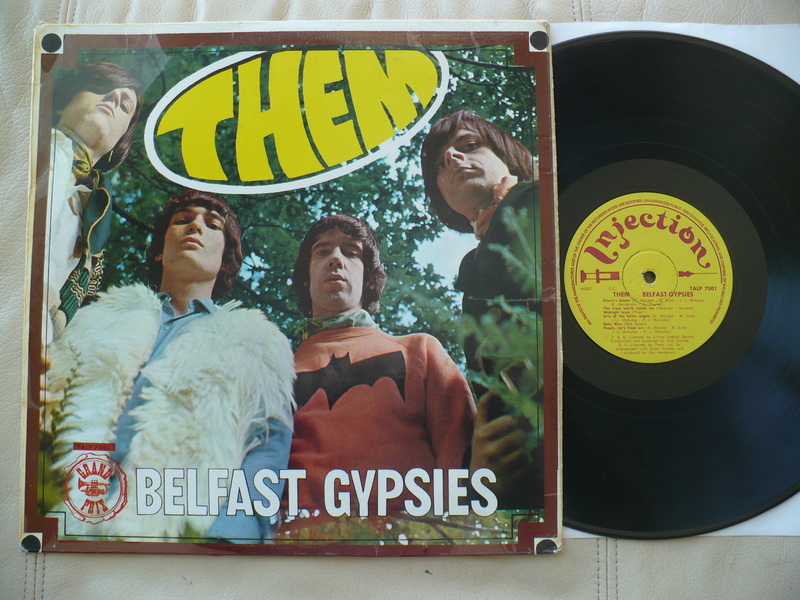 NO STOCK MONO COPIES WERE EVER ISSUED. THE CONDITION OF THE COVER IS ABOUT VG+ WITH MILD WEAR BUT THERE IS SOME WRITING ON THE BACK COVER, 2" CENTER SPINE SPLIT, AND A "LIBRARY DISCARD" STAMP ON THE BACK COVER AS WELL. 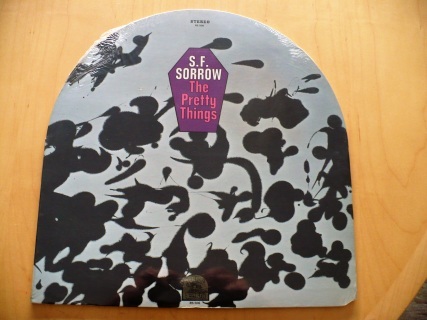 THERE IS A MONAURAL STICKER ON THE FRONT COVER. 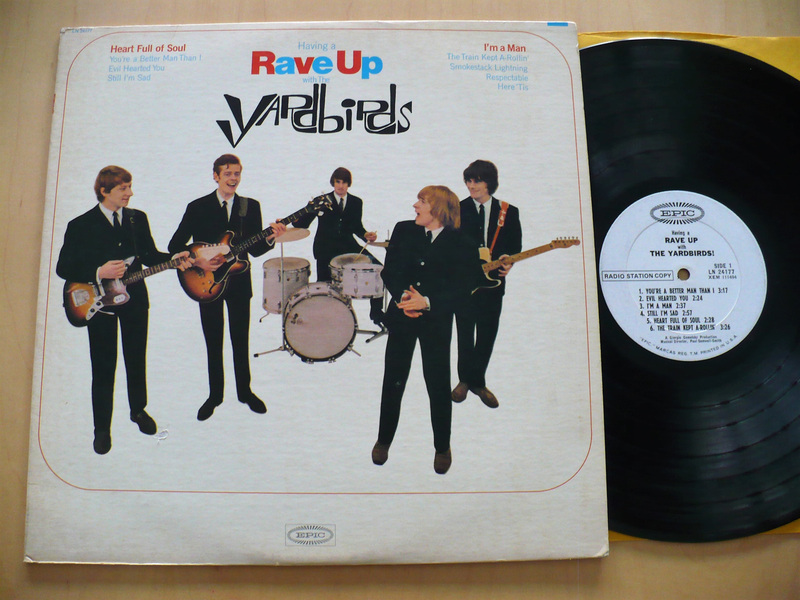 THE CONDITION OF THE DISC IS A VERY NICE VG+ TO EX AND IT PLAYS GREAT IN THE ORIGINAL MONO MIX! 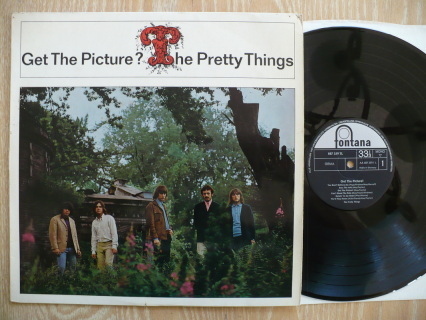 1968 ORIGINAL U.S. FIRST PRESSING ON THE DECCA DL 75064 LABEL. THE COVER IS A BEAUTIFUL M-, NO CUT-OUTS, SEAM SPLITS OR WRITING! THE DISC IS ALSO A LIKE NEW M-! TOP COPY! RARE 1968 ORIGINAL ENGLAND PRESSING ON THE TRACK RECORDS LABEL IN TOP NICK! THE COVER IS EX+! THE DISC IS M-! NICE!! 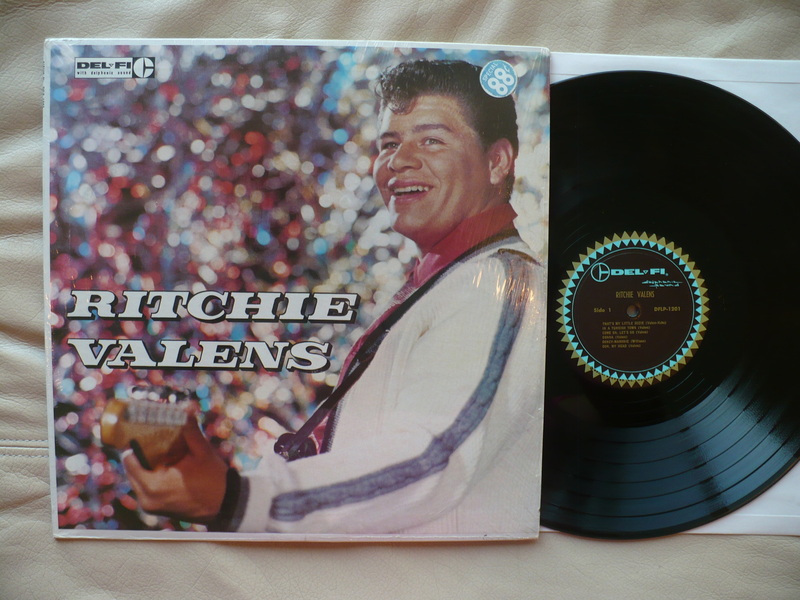 RARE 1965 ORIGINAL HOLLAND DEBUT ALBUM ON THE BRUNSWICK DZ 177 026 LABEL. 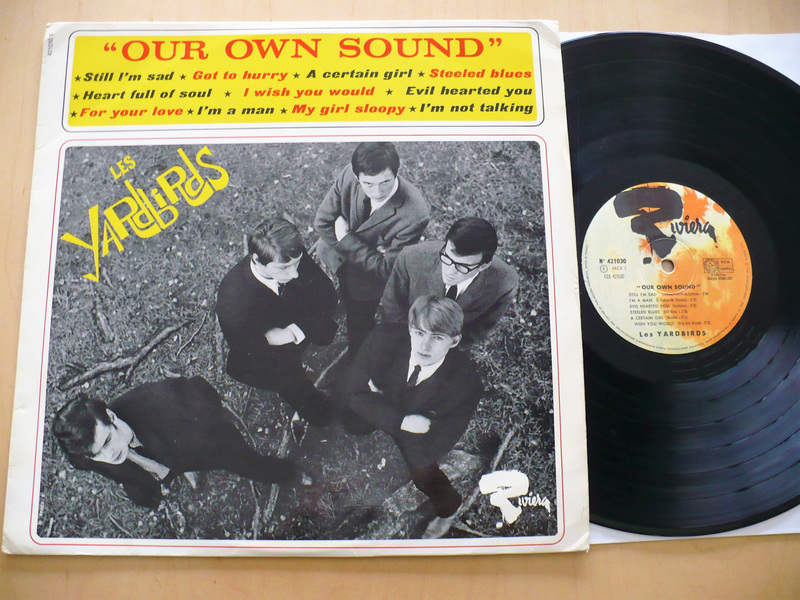 THIS ORIGINAL ALBUM IS HOUSED IN A UNIQUE AND VERY COOL HOLLAND-ONLY PHOTO COVER! THE CONDITION OF THE ORIGINAL BACK-FLAPS COVER IS A NICE VG+! THE CONDITION OF THE DISC IS ALSO VG+ WITH ONLY LIGHT SLEEVE SCUFFS PRESENT. IT PLAYS MOSTLY EX IN THE ORIGINAL MONO MIX! 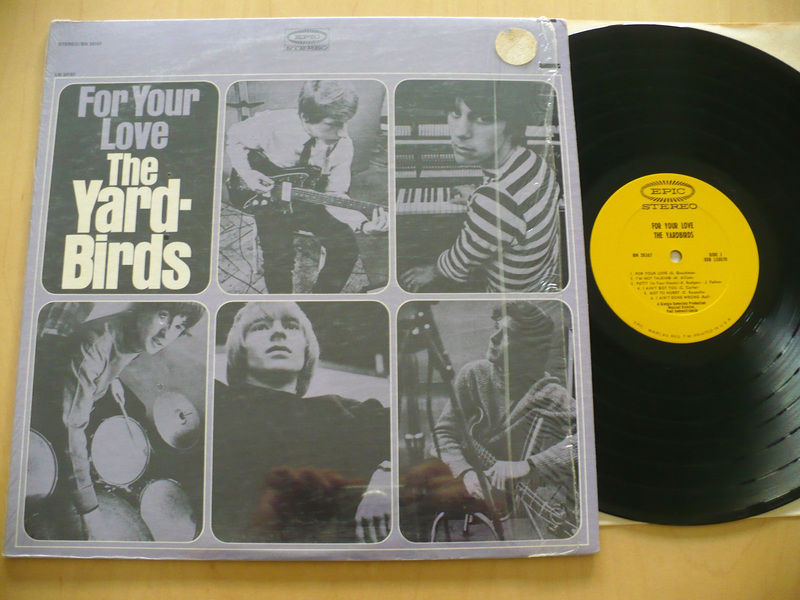 MEGA RARE 1968 ORIGINAL HOLLAND-ONLY COVER OF THEIR DEBUT LP ON THE BRUNSWICK DZY 377 026 LABEL. THE CONDITION OF THE RARE, UNIQUE AND FRAGILE COVER IS VG+, NO SPLITS OR WRITING! THE DISC IS VG WITH CONSIDERABLE SCUFFS AND LIGHT MARKS HOWEVER IT PLAYS MOSTLY VG+ OR BETTER. SUPER HARD TO FIND AND ONE OF THE MOST DESIRABLE, UNIQUE 'WHO' COLLECTIBLES WORLDWIDE! RARE GERMANY IMPORT LP ON THE DECCA "MUSIK FUR ALLE" SERIES LABEL. THE VERY COOL AND UNIQUE COVER IS A NICE EX, NO SPLITS OR WRITING! THE DISC IS A NICE VG+ WITH ONLY LIGHT SLEEVE SCUFFS PRESENT. THE VINYL STILL HAS A NICE GLOSS AND IT PLAYS NICELY! HERE'S A STONE MINT 1970 ORIGINAL HOLLAND IMPORT LP ON THE POLYDOR MEDIUM 2486 039 LABEL. THE COVER IS M-, NO SEAM SPLITS OR WRITING! THE CONDITION OF THE DISC IS ALSO A BEAUTIFUL LIKE NEW M-! TOP COPY!! RARE 1969 ORIGINAL ENGLAND BLACK TRACK LABEL PRESSING! THE CONDITION OF THE MULTI-FOLD COVER IS M- BUT THERE IS A TINY (1/4" X 1/4") STICKER ON THE BACK COVER WITH THE PREVIOUS OWNERS INITIALS, OTHERWISE IT'S BEAUTIFUL! THE CONDITION OF BOTH DISCS ARE ALSO A BEAUTIFUL M-! 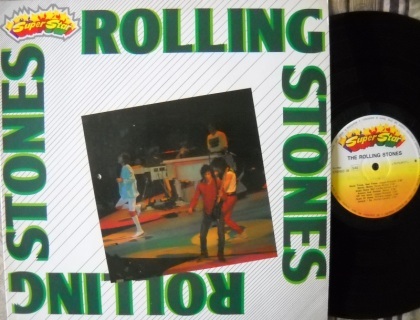 ALSO INCLUDES THE ORIGINAL BOOKLET! RARE 1970 ORIGINAL ENGLAND TRACK LABEL 2ND PRESS WITH THE RED LETTERS ON THE FRONT COVER IN TOP CONDITION! THE FRAGILE FOLD-OUT COVER IS A NICE EX+ WITH A SMALL (1/4" X 1/4") STICKER ON THE BACK COVER, OTHERWISE IT'S NICE! THE DISC IS A GORGEOUS M-! ALSO INCLUDES ALL 12 ORIGINAL INSERTS! ORIGINAL 1973 U.S. FIRST PRESSING ON THE MCA/TRACK LABEL AND THIS EXAMPLE IS STILL SEALED!! THERE IS A SMALL DRILL HOLE IN THE UPPER RIGHT CORNER, OTHERWISE IT'S BEAUTIFUL WITH NO SEAM SPLITS! BEAUTIFUL ARCHIVE COPY!! RARE 1965 ORIGINAL MONO FIRST PRESSING STILL IN THE SHRINK WRAP WITH A PROMO STICKER ON THE FRONT COVER! THE COVER IS M- STILL IN THE SHRINK, NO CUT-OUTS, SEAM SPLITS OR WRITING! 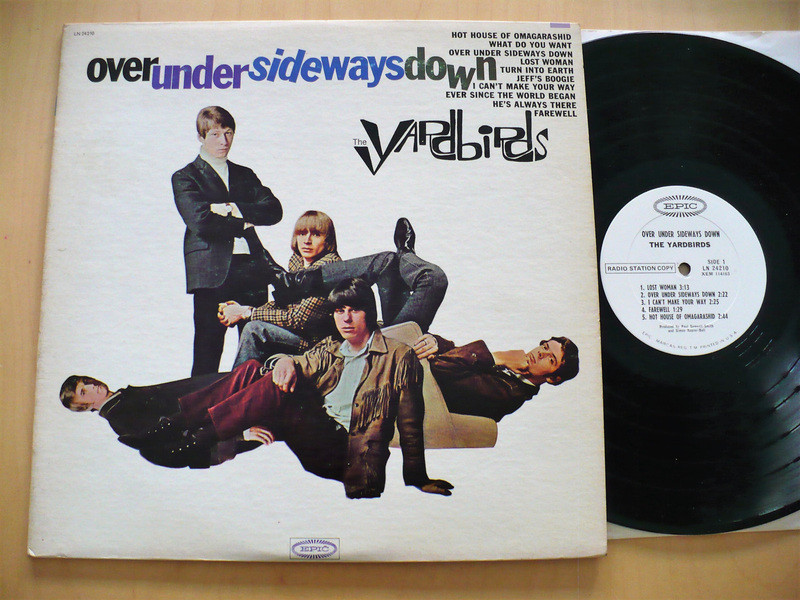 THE ORIGINAL MONO DISC IS A STRONG EX+ WITH ONLY A FEW ULTRA LIGHT SLEEVE SCUFFS. THE VINYL STILL HAS A BRILLIANT GLOSS AND IT PLAYS GREAT IN THE ORIGINAL MONO MIX! THIS IS THE ABSOLUTE FIRST PRESSING WITH THE 1A, 1A ENDING IN THE TRAIL OFF VINYL! RARE 1965 ORIGINAL U.S. MONO COPY IN NICE COLLECTOR CONDITION! THE CONDITION OF THE COVER IS M- STILL IN THE ORIGINAL SHRINK WRAP WITH A $2.98 (OH, THOSE WERE THE DAYS!) PRICE STICKER ON TOP OF THE SHRINK, NO SEAM SPLITS OR WRITING! THE CONDITION OF THE DISC IS A VERY NICE EX AND IT PLAYS GREAT IN THE SUPERIOR MONO MIX! 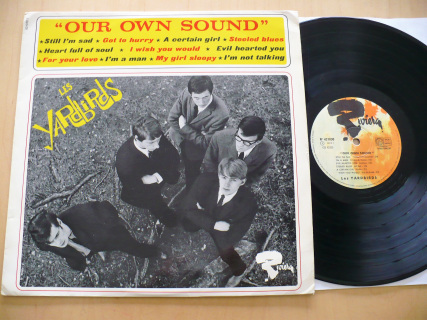 RARE 1965 ORIGINAL U.S. STEREO PRESSING ON THE YELLOW EPIC LABEL. THE CONDITION OF THE COVER IS M-, STILL IN THE ORIGINAL SHRINK WRAP, NO CUT-OUTS, SEAM SPLITS OR WRITING! THE CONDITION OF THE DISC IS A BEAUTIFUL EX+, VERY CLOSE TO MY TOP M- GRADE, AND IT PLAYS GREAT! TOP COPY! 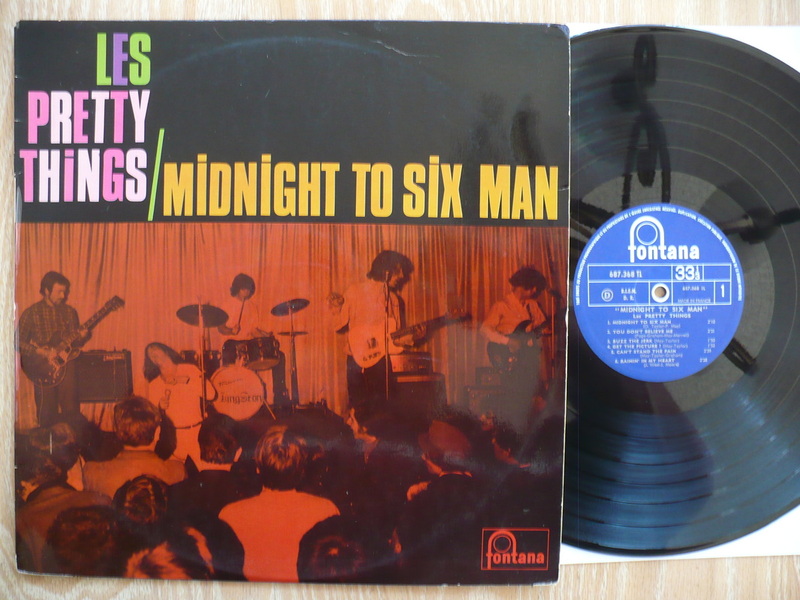 RARE 1965 ORIGINAL MONO WHITE LABEL PROMO! 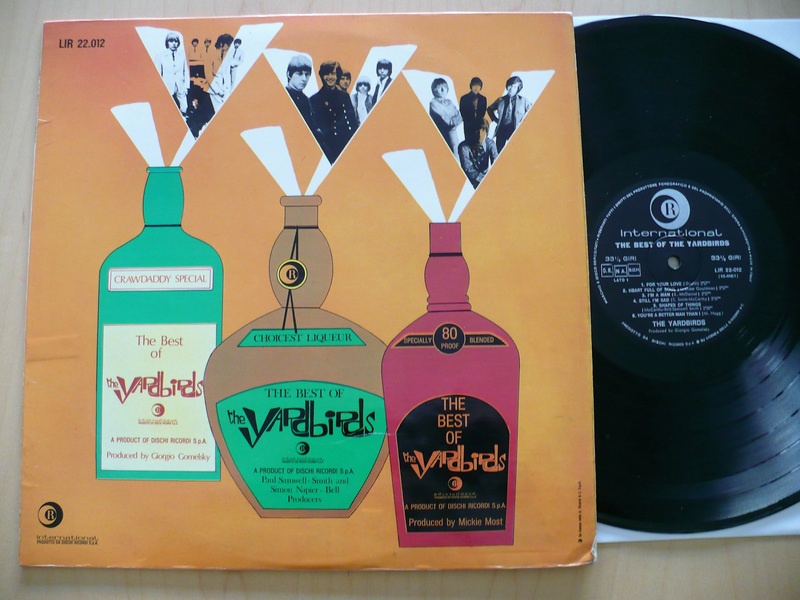 THE COVER IS VG+ WITH THE VERY BEGINNING OF A 1" BOTTOM CENTER SPLIT. THE DISC IS VG WITH SOME SCUFFS AND LIGHT MARKS. IT PLAYS THROUGH OK WITH NO SKIPS! VERY RARE AS A WHITE LABEL PROMO! VERY HARD TO FIND 1965 ORIGINAL U.S. MONO PRESSING ON THE EPIC RECORDS LABEL AND THIS IS AN UNBELIEVABLE STILL SEALED COPY! THERE ARE TWO TINY PIN HOLES IN THE UPPER LEFT CORNERAND A MILD LOWER LEFT CORNER CREASE OTHERWISE IT'S BEAUTIFUL! GOOD LUCK FINDING ANOTHER SEALED MONO COPY ANY TIME SOON! RARE 1965 ORIGINAL U.S. MONO PRESSING ON THE YELLOW EPIC LABEL IN TOP COLLECTOR CONDITION! THE COVER IS M- BUT DOES HAVE A TINY, RATHER INSIGNIFICANT STAIN ON THE BOTTOM LEFT CORNER, NO SEAM SPLITS OR WRITING. THE CONDITION OF THE DISC IS A BEAUTIFUL M- AND IT PLAYS GREAT IN THE SUPERIOR MONO MIX! TOP COPY! 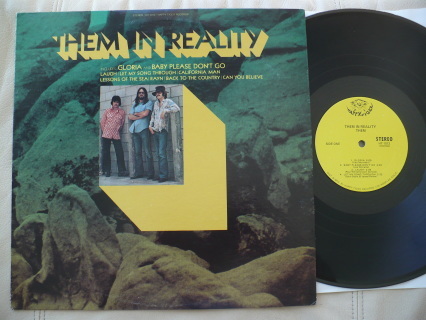 REAL HARD TO FIND SECOND PRESSING FROM THE EARLY 70'S ON THE ORANGE EPIC LABEL IN TOP NICK! THE COVER IS EX+ WITH A TINY BIT OF PRICE STICKER RESIDUE AT THE TOP RIGHT CORNER, OTHERWISE THE COVER IS BEAUTIFUL! 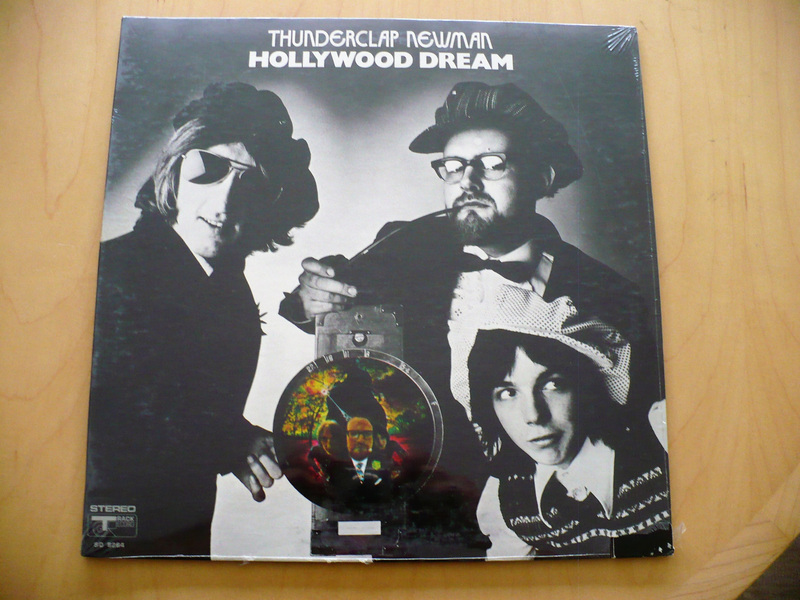 THE CONDITION OF THE DISC IS A GORGEOUS LIKE NEW M-!INCLUDES THE ORIGINAL EPIC RECORDS INNER SLEEVE. 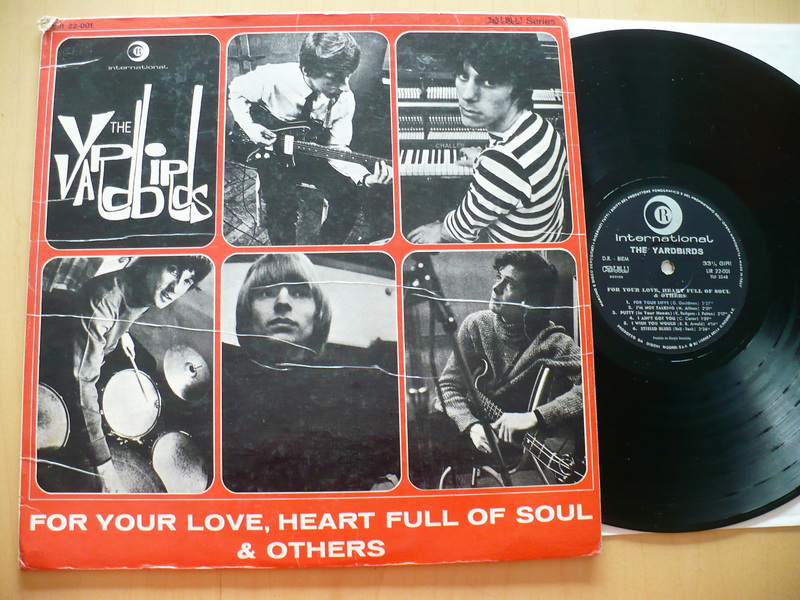 VERY RARE 1966 ORIGINAL WHITE LABEL PROMO MONO PRESSING! THE CONDITION OF THE COVER IS A NICE VG+ TO EX, NO SEAM SPLITS OR WRITING! THE CONDITION OF THE WHITE LABEL PROMO DISC IS VG+. VERY RARE AS A PROMO! RARE 1966 ORIGINAL U.S. MONO COPY IN TOP NICK! THE COVER IS A BEAUTIFUL M-, NO CUT-OUTS, SEAM SPLITS OR WRITING! THE CONDITION OF THE DISC IS ALSO A BEAUTIFUL, LIKE NEW M- AND IT PLAYS BRILLIANTLY IN THE SUPERIOR MONO MIX! TOP COPY!! VERY RARE 1966 ORIGINAL STEREO PRESSING ON THE YELLOW EPIC LABEL IN TOP NICK! THE COVER IS A BEAUTIFUL M-! THE CONDITIOIN OF THE DISC IS...STILL SEALED!! THE DISC IS STILL SEALED IN THE ORIGINAL PLASTIC BAG, NEVER TOUCH BY HUMAN HANDS! TOP COPY!! VERY RARE PROMO ISSUE ON THE COLUMBIA SPECIAL PRODUCTS LABEL. THE COVER IS A NICE EX WITH A "PROMOTIONAL ALBUM" STICKER, NO SEAM SPLITS OR WRITING! THE DISC IS VG WITH SOME SCUFFS AND A FEW LIGHT MARKS, PLAYS THROUGH OK. VERY RARE AND SUPER HARD TO FIND VARIATION OF THIS GREAT ALBUM! 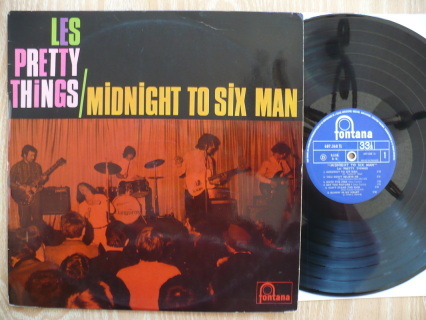 HERE'S A NICE 1966 ORIGINALCANDIAN MONO PRESSING ON THE CAPITOL T-6166 LABEL. THE UNIQUE CANADA-ONLY COVER IS A NICE VG+, NO SEAM SPLITS OR WRITING. THE CONDITION OF THE DISC IS ALSO A NICE VG+ AND IT PLAYS GREAT IN THE ORIGINAL MONO MIX! 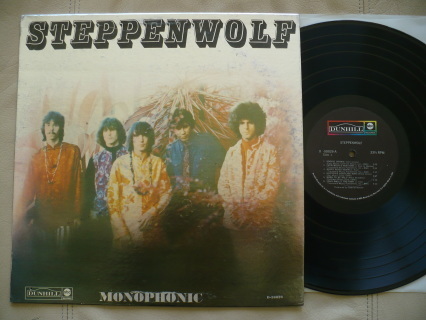 RARE 1966 ORIGINAL CANADIAN ONLY LP ON THE MONO CAPITOL T-6202 LABEL. THE CONDITION OF THE AWESOME CANADA-ONLY COVER, THAT FEATURES BOTH JEFF BECK AND JIMMY PAGE, IS IN BEAUTIFUL NEAR MINT CONDITION! THERE IS A TINY DRILL HOLE IN THE LOWER RIGHT CORNER, OTHERWISE THE COVER IS BEAUTIFUL! 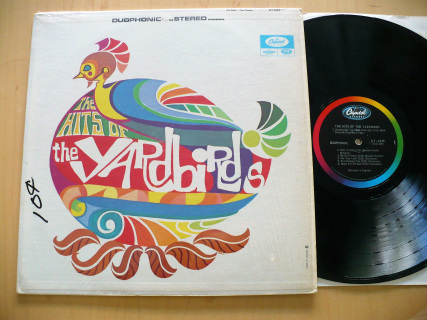 THE DISC IS A NICE VG+ AND IT PLAYS GREAT IN THE ORIGINAL...AND DIFFERENT MONO MIX! 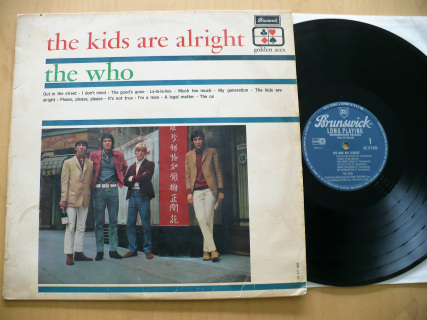 RARE 1967 ORIGINAL CANADIAN IMPORT ALBUM ON THE CANADA CAPITOL DT 6229 LABEL. THE COVER IS M- STILL IN THE ORIGINAL SHRINK WRAP! THERE IS A "10c'" WRITTEN ON TOP OF THE SHRINK IN BLACK MARKER, OTHERWISE THE COVER IS NICE! NO CUT-OUTS, SEAM SPLITS OR OTHER WRITING! THE CONDITION OF THE "DUOPHONIC" STEREO DISC IS A STRONG EX TO M-! VERY RARE 1967 ORIGINAL AUSTRALIA LP ON THE BLUE/BLACK MONO COLUMBIA OSX-7824 LABEL IN TOP NICK! THE CONDITION OF THE ORIGINAL LAMINATED "BACK-FLAPS" COVER IS A BEAUTIFUL M-! THE CONDITION OF THE DISC IS ALSO A CLEAN EX+, VERY CLOSE TO MY TOP M- GRADE, AND IT PLAYS GREAT IN THE ORIGINAL MONO MIX! VERY HARD TO FIND IN THIS TOP CONDITION! RARE AUSTRALIAN "WORLD RECORD CLUB" LP HOUSED IN A VERY COOL AND UNIQUE COVER! THE COVER AND DISC ARE VG+ WITH SOME SIGNS OF WEAR, NOT ABUSE. QUITE SCARCE AT THIS POINT! 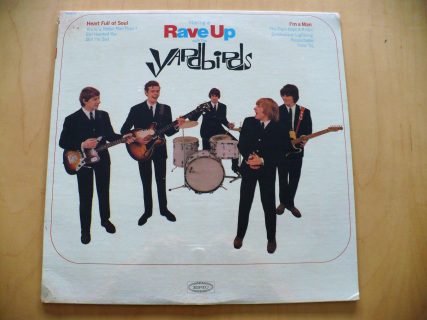 RARE 1965 ORIGINAL FRENCH PRESSING ON THE RIVIERA 421030 LABEL. THE CONDITION OF THE LAMINTED, "BACK FLAPS" COVER IS A STRONG EX+ WITH ONLY A FEW LIGHT CREASES, NO SPLITS OR WRITING! THE CONDITION OF THE DISC IS A STUNNING, BRILLIANT AND EXTREMELY HARD TO FIND M-! FULL BRILLIANT GLOSS...IT SHINES LIKE A MIRROR! NO NEED TO UPGRADE...TOP COPY! 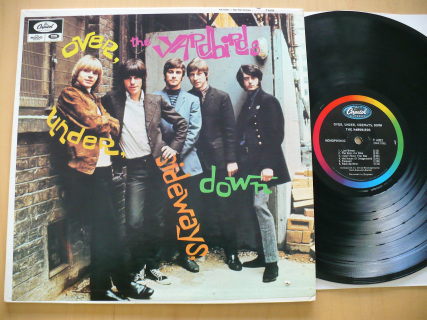 1966 ORIGINAL FRENCH PRESSING ON THE RIVIERA 521.004 LABEL. THE CONDITION OF THE UNIQUE FRANCE-ONLY LAMINATED, "BACK FLAPS" COVER IS A NICE VG+ TO EX! THERE ARE TWO TINY PIN HOLES AT THE TOP CORNERS OTHERWISE THE COVER IS VERY NICE WITH ONLY MINOR CREASING. 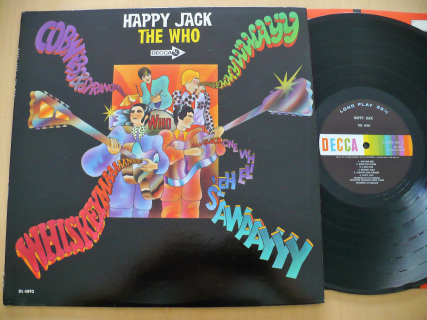 THE BACK OF THECOVER HAS A COOL PHOTO OF THE BAND ONSTAGE FEATURING JEFF BECK ON LEAD GUITAR AND JIMMY PAGE ON BASS! 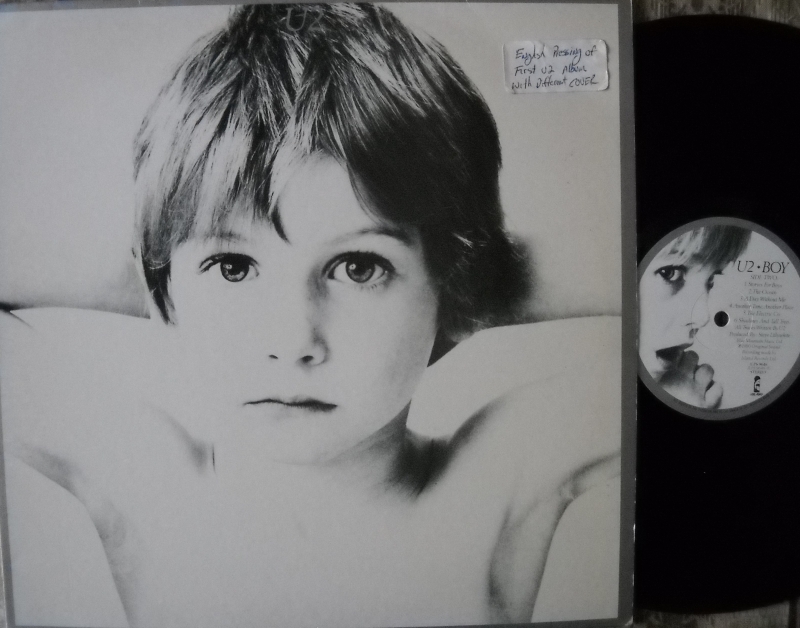 THE DISC IS A VERY NICE VG+ TO EX WITH ONLY LIGHT SLEEVE SCUFFS PRESENT. THE VINYL HAS A HIGH GLOSS AND IT PLAYS GREAT! 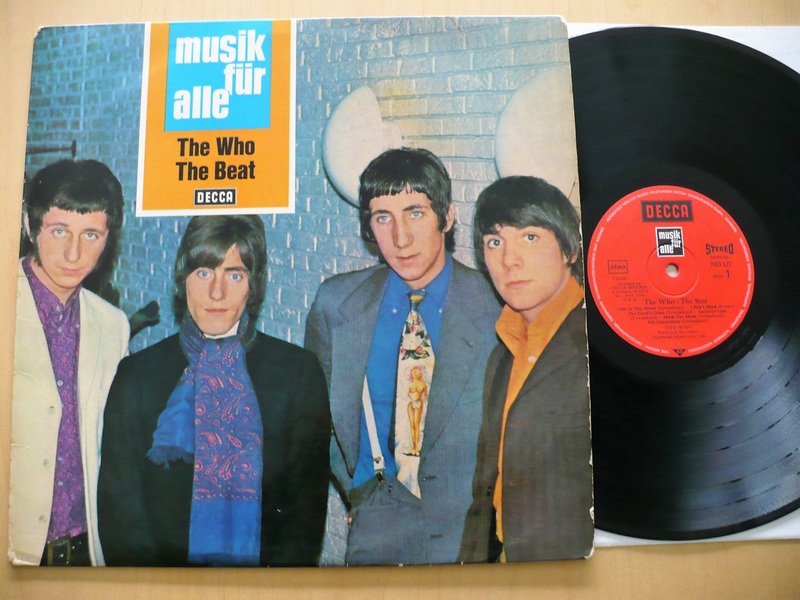 SUPER RARE 1966 ORIGINAL GERMANY FIRST PRESSING HOUSED IN A VERY COOL AND UNIQUE COVER! THE CONDITION OF THE COVER IS A NICE EX WITH ONLY MINOR SIGNS OF WEAR. STILL VERY NICE! THE CONDITION OF THE DISC IS A VERY NICE VG+TO EX AND IT PLAYS GREAT OVERALL! RARE 1966 ORIGINAL GERMANY FIRST PRESSING THAT IS ALSO HOUSED IN A BEAUTIFUL AND UNIQUE COVER! 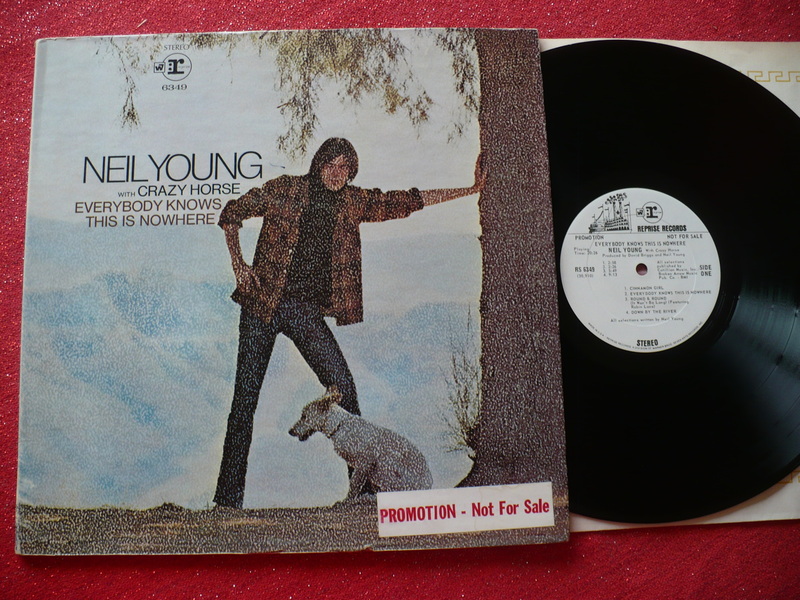 THE CONDITION OF THE COVER IS VG+ WITH ONLY MILD SIGNS OF WEAR AND A 2" BOTTOM RIGHT SPLIT. THE TOP SEAM AND THE SPINE ARE FINE. THE CONDITION OF THE DISC IS A BEAUTIFUL M-! SUPERB! 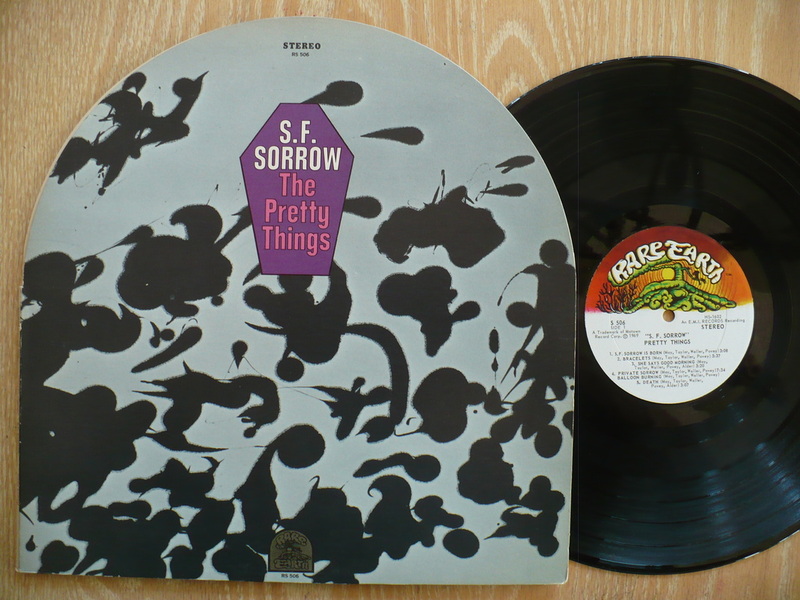 VERY RARE 1965 ORIGINAL SWEDEN LP ON THE COLUMBIA SSX 1018 LABEL. THE CONDITION OF THE COVER IS A NICE EX, NO SPLITS OR WRITING. THE CONDITION OF THE DISC IS A NICE VG TO VG+ WITH LIGHT SLEEVE SCUFFS, NO DEEP SCRATCHES, AND IT PLAYS NICELY! RARE SWEDEN-ONLY ALBUMCOVER PHOTO! VERY RARE 1967 ORIGINAL SWEDEN LP ON HIS MASTER'S VOICE LABEL IN SUPERB CONDITION! 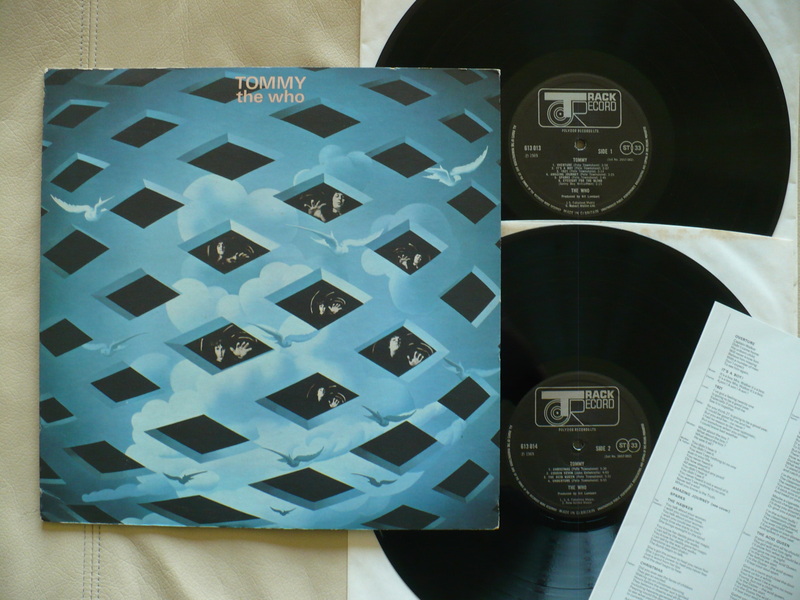 THE CONDITION OF THE GREAT AND UNIQUE "STREET COVER", FEATURING A PHOTO OF THE GROUP WITH BOTH JEFF BECK AND JIMMY PAGE, IS A CONSERVATIVE EX+! ONLY A FEW LIGHT CREASES IN THE LAMINATION AND THERE ARE NO SEAM SPLITS OR WRITING! THE CONDITION OF THE DISC IS ALSO A VERY NICE EX AND IT PLAYS BEAUTIFULLY! NICE KEEPER COPY FOR MOST COLLECTORS! HARD TO FIND 1965 ITALIAN ORIGINAL DEBUT LP HOUSED IN A UNIQUE TO ITALYCOVER. THE COVER IS VG+ WITH SOME LAMINATION CREASES AND A TOP LEFT CORNER DING. THE DISC IS ABOUT VG WITH SOME SCUFFS AND LIGHT SCRATCHES, PLAYS THROUGH OK WITH ABSOLUTELY NO SKIPS. QUITE HARD TO FIND IN ANY CONDITION. 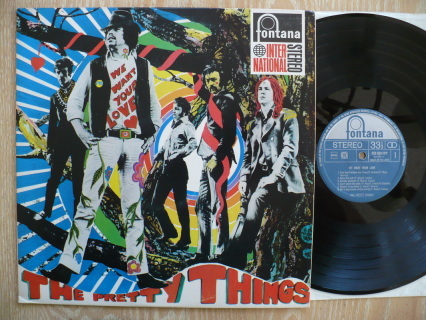 VERY RARE 1966 ORIGINAL ITALIAN ALBUM HOUSED IN A UNIQUE ITALY-ONLY COVER! THE CONDITION OF THE WRAP-AROUND COVER IS A BEAUTIFUL EX+! 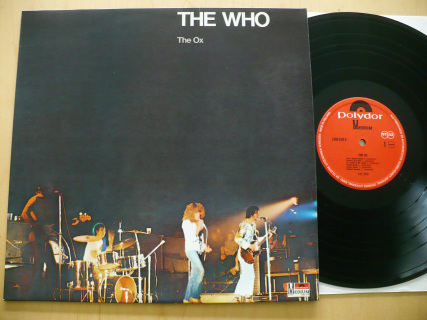 THE CONDITION OF THE ORIGINAL MONO DISC IS EX WITH ONLY A FEWLIGHT SLEEVE SCUFFS PRESENT! THE VINYL STILL HAS A NICE GLOSS AND IT PLAYS GREAT! 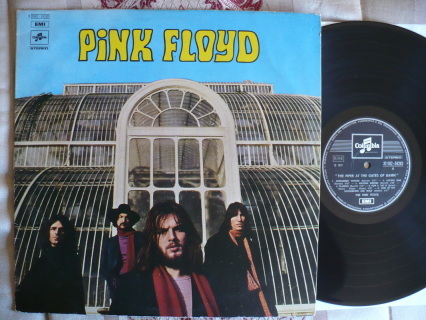 SUPER RARE ORIGINAL FIRST ITALIAN PRESSING!! 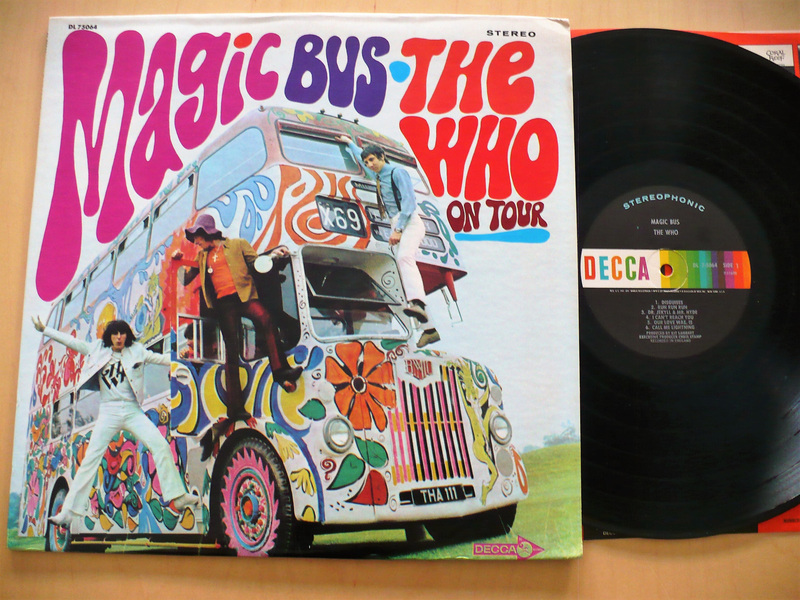 ULTRA RARE 1966 ORIGINAL ITALIAN FIRST PRESSING IN NICE CONDITION! THE CONDITION OF THE ORIGINAL WRAP-AROUND COVER IS A NICE EX! IT IS VERY CLEAN HOWEVER A PREVIOUS OWNER NEATLY TAPED THE TOP AND BOTTOM SEAMS (see photo). 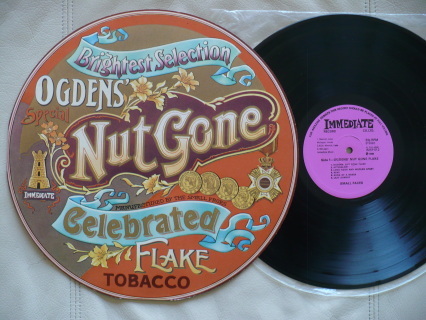 THE CONDITION OF THE DISC IS A BEAUTIFUL EX+ WITH FULL BRILLIANT GLOSS AND IT PLAYS BEAUTIFULLY! THE ITALIAN ORIGINAL HAS UNIQUE ITALY-ONLY BACK COVER ART! SUPER RARE AND IT'S IN TOP NICK! MEGA RARE 1967 ORIGINAL ITALIAN "BOTTLE COVER" IN ABSOLUTE TOP CONDITION! THE CONDITION OF THE THICK, ITALY-ONLY COVER IS A NICE EX, NO SEAM SPLITS OR WRITING! THE CONDITION OF THE DISC IS A GORGEOUS M-! ABSOLUTELY IMPOSSIBLE TO FIND IN THIS TOP CONDITION! NOW OR NEVER!! MEGA RARE 1968 ORIGINAL MEXICAN ALBUM ON THE CAPITOL LEM-89 LABEL. THE COVER IS ABOUT VG+ WITH MODERATE WEAR BUT DOES HAVE CLEAR TAPE ON THE TOP AND BOTTOM SEAMS. THE DISC IS BETWEEN A NICE VG TO VG+ AND PLAYS FINE. VERY HARD TO FIND THIS UNIQUE MEXICAN ORIGINAL ALBUM IN ANY CONDITION! 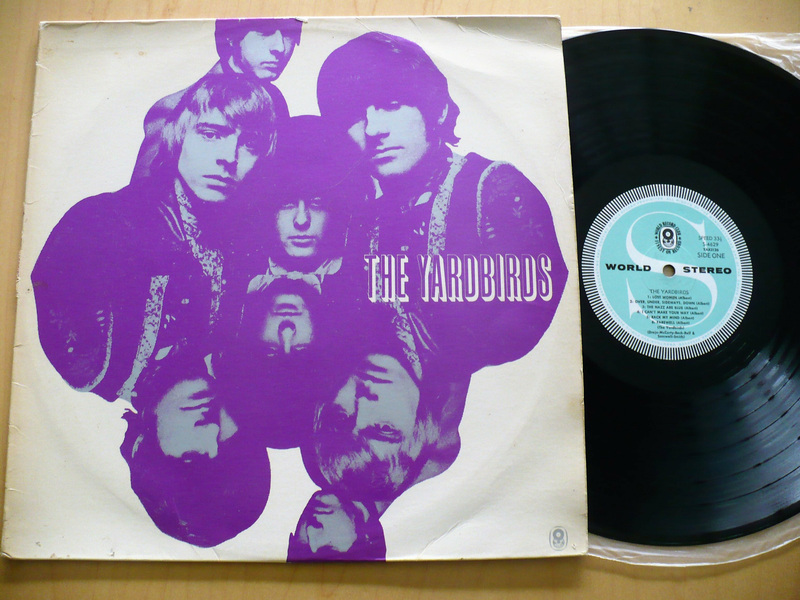 RARE 1969 ORIGINAL WHITE LABEL PROMO PRESSING IN NICE COLLECTOR CONDITION! THE GATEFOLD COVER IS A NICE EX WITH JUST A HINT OF WEAR, NO SPLITS OR WRITING! THE CONDITION OF THE DISC IS ALSO A NICE EX WITH ONLY A FEW LIGHT SLEEVE SCUFFS. THE VINYL STILL HAS A HIGH GLOSS AND IT PLAYS GREAT! ALSO HAS THE ORIGINAL REPRISE INNER SLEEVE! VERY HARD TO FIND AS A WHITE LABEL PROMO!